15 Minutes is an interview podcast with the biggest names in the global security space. How important are the Balkans to U.S. national security? The region remains volatile, with ethnic and socioeconomic tensions rising, and increased Russian meddling in internal affairs. So, this week, The Cipher Brief's Kaitlin Lavinder spends 15 Minutes with Senator John McCain (R-AZ), Chairman of the Senate Armed Services Committee, who recently returned from a trip to the Balkans. He also voted in March for the state of Montenegro to become NATO's newest member. Here, he tells Kaitlin what he thinks Montenegro will bring to the table. 15 Minutes is an interview podcast with the biggest names in the global security space. What is the most stable country in the world? Which is the most fragile? What determines those qualities? This week, The Cipher Brief's Leone Lakhani spends 15 Minutes with JJ Messner, Executive Director of the Fund for Peace, which projects the annual Fragile States Index. Judged on 12 indicators - based on social, economic and political factors - the index ranks 178 countries from the most fragile, to the least. So, which countries ranked the highest in 2017? And why does it matter? 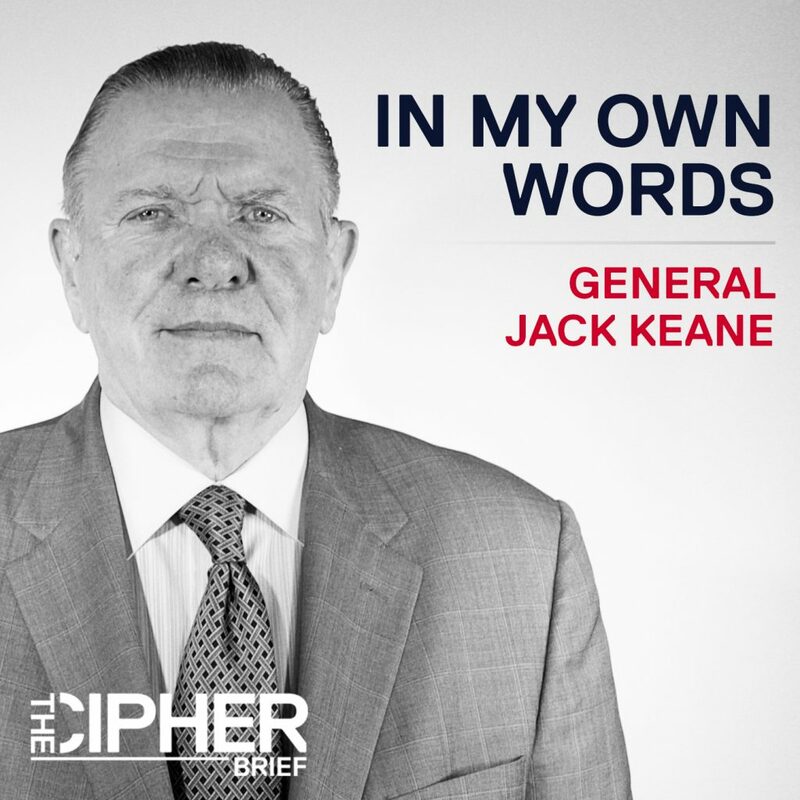 I’m Jack Keane, retired four-star general, former Vice Chief of Staff of the U.S. Army and a member of The Cipher Brief network. I served the American people for almost 38 years. I’m an infantry paratrooper who commanded every level from company through corps. What do I think of U.S. strategy in North Korea? How much of a threat is North Korea? How should Washington and its allies handle the threat? Here’s my perspective In My Own Words, no holds barred. In a world of evolving threats, how can the United States innovate to stay ahead in the national security space? That’s a question The Cipher Brief's CEO Suzanne Kelly puts to Milo Medin, a member of the Defense Innovation Board, an initiative set up by former Defense Secretary Ash Carter in 2016. Milo, who is also Google’s Vice President of Access Services, speaks to Suzanne about potential solutions, on the sidelines of Georgetown University’s “Hacking 4 Defense” innovation panel. 15 Minutes is an interview podcast with the biggest names in the global security space. 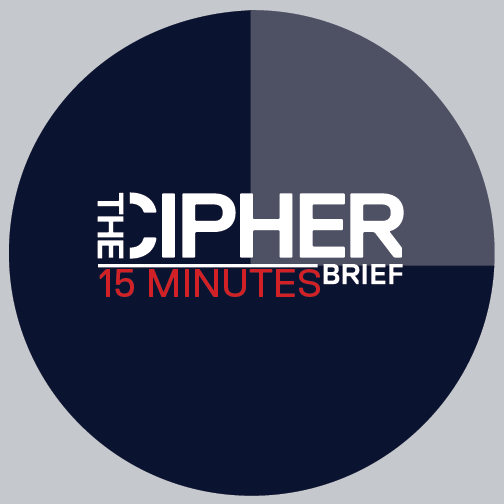 This week The Cipher Brief's Executive Producer Leone Lakhani speaks to Adam Meyers from the cyber-security firm CrowdStrike. As the Vice President of Intelligence, Adam heads a team that identifies the perpetrators of cyber-crimes, both in the private and public sectors. CrowdStrike helped to identify the hackers behind the Democratic National Committee's email leaks last year, and more recently the mastermind behind the Kelihos Botnet. Leone speaks to Adam about the challenges and procedures in identifying these cyber criminals. 15 Minutes is an interview podcast with the biggest names in the global security space. This week The Cipher Brief's CEO & Publisher Suzanne Kelly spends 15 minutes with Michele Flounoy, CEO & Founder of the DC-based think tank the Center For a New American Security (CNAS). She was formerly the Under Secretary of Defense for Policy. When President Barack Obama nominated her for the position, she was the highest-ranking woman in the Pentagon’s history. After President Donald Trump’s election, General James Mattis asked her to be his Deputy Secretary of Defense, a position she turned down. So, what are her views on the new Administration? And what does she see as the most pressing challenges ahead, from North Korea to Yemen, Syria and Iraq? 15 Minutes is an interview podcast with the biggest names in the global security space. This week, The Cipher Brief's Executive Producer and Reporter Leone Lakhani speaks to Jonna Mendez, who spent 27 years at the CIA, eventually becoming the Chief of Disguise. She’s also a founding board member of the International Spy Museum, where she aims to educate people about the world of espionage. Here, Jonna educates Leone on how she learned from Hollywood makeup artists and magicians, to master illusion and disguise. 15 Minutes is an interview podcast with the biggest names in the global security space. This week The Cipher Brief's Executive Producer and Reporter Leone Lakhani speaks to Carmen Medina, former CIA Deputy Director of Intelligence and a long-time advocate of diversity in the Agency. She’s also the co-author of Rebels at Work, a book in which she shares the virtues of being a rebel in the workplace. A self-styled rebel herself, Carmen tells Leone how she shook up the Agency, and why she sees the world differently. 15 Minutes is a weekly interview podcast with the biggest names in the global security space. This week, The Cipher Brief’s Fritz Lodge speaks to Michael German, author of “Thinking Like a Terrorist” and a former undercover FBI agent, who infiltrated white supremacist groups in the 1990s. Fritz asks Michael how his experiences shaped his understanding of terrorism and how to best fight violent extremism both at home and abroad. 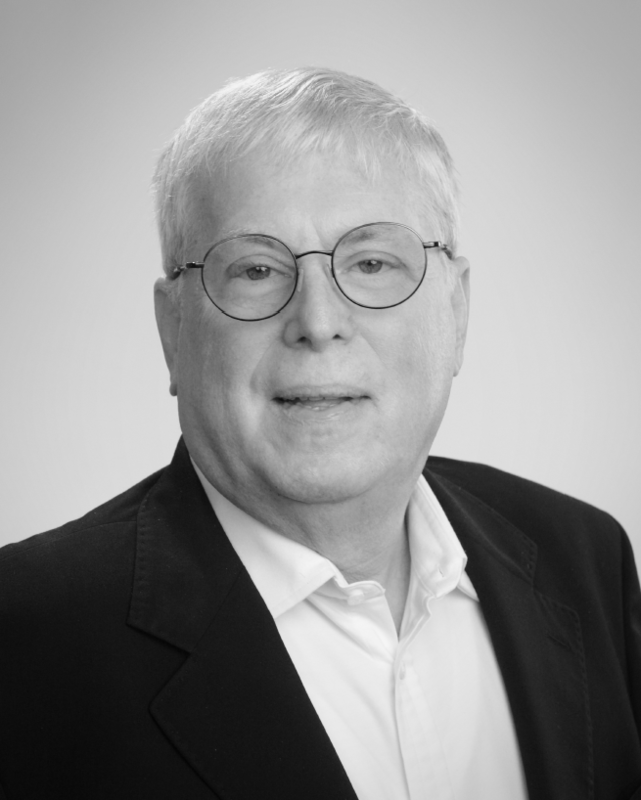 This week, The Cipher Brief's Senior National Security Editor Steve Hirsch speaks with James Mitchell, a psychologist - and author of Enhanced Interrogation: Inside the Minds and Motives of the Islamic Terrorists Trying to Destroy America. Along with his partner John Bruce Jessen, James carried out debriefings of high profile detainees like 9/11 mastermind Khalid Sheikh Mohammed, on behalf of the CIA from 2002 to 2009. Together they created what's known as "Enhanced Interrogation Techniques" - or EITs - to question the prisoners. James spoke with Steve about the EIT program and the role they could have in the future.